OAK RIDGE – Babe Ruth was safe after all. 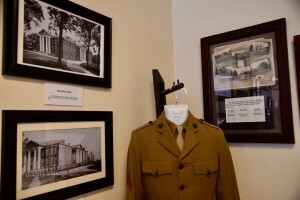 On the campus of Oak Ridge Military Academy, inside Alumni Hall and through a doorway that leads visitors to the school’s Archives and Museum, there is an Associated Press photo from August 1934. In the photo, New York Yankees legend George Herman “Babe” Ruth is sliding at home plate and attempting to avoid the tag of Detroit Tigers catch Ray Hayworth. Both Ruth and Hayworth appear to be looking at the umpire, waiting for the official call. 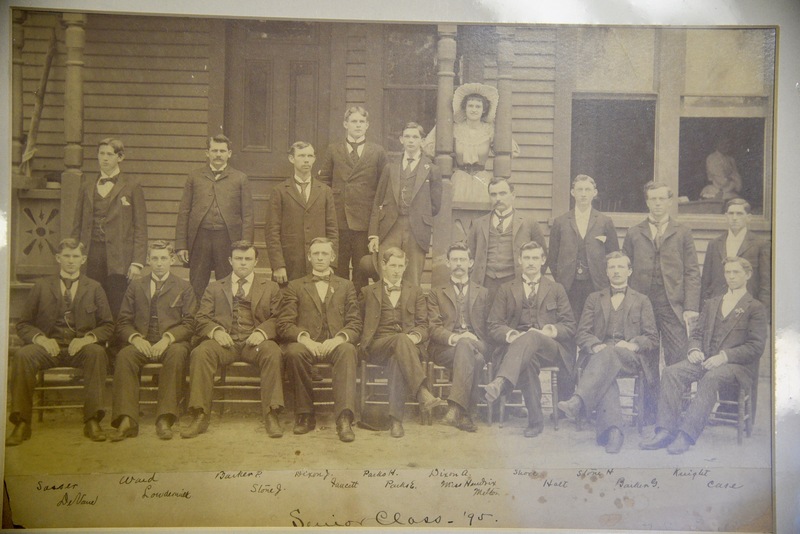 Members of the Class of ’95 – 1895 – pose (but dare not smile) for their senior picture. For James H. “Jim” Savage, there is no doubt. “He’s out,” said Savage, a retired major with the U.S. Army Reserve who volunteer with his wife, Kay, to operate the school’s museum. But Savage quickly moves the tour along. There is, inevitably, another “interesting story here” to explore throughout the school’s 168-year history. 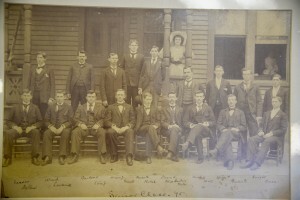 Oak Ridge Military Academy was an idea conceived in 1850 as the Oak Ridge Male Institute, and the adventure began when 43 local residents raised $629 to construct the first building on the 38.6-acre campus. The land upon which the first schoolhouse was built was donated by Allen Lowrey. 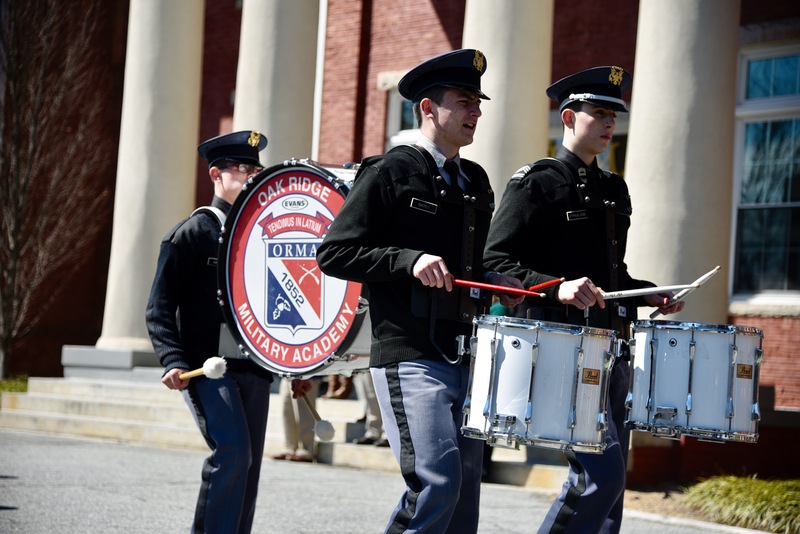 Oak Ridge Military Academy remains the third-oldest military school still in operation in the United States. The Savages live in Winston-Salem and regularly commute to meet the needs of the museum, which is a nonprofit organization separate from the state’s only surviving military academy. For Jim Savage, the focus on the photos is not on Ruth, who at the time was in the final months as a full-time player after a Hall of Fame career, but on Hayworth. Born in High Point, Hayworth graduated from the academy and enjoyed a 15-year career with four Major League teams. 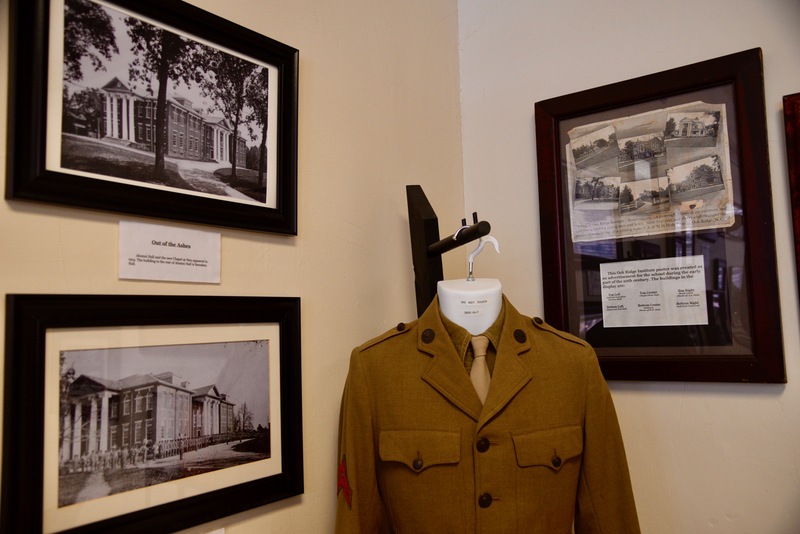 One of the first uniforms for Oak Ridge Military Institute after it became affiliated with the U.S. military in 1917 is on display inside the school’s museum. Other names come back from the past and have a chilling effect as entering an air-conditioned department store on a summer day. Walking through the museum, seeing faces with stoic expressions in photos taken more than a century ago, one can’t help but to connect. For many, the connection is real. Savage himself graduated in the 1960s from the academy, which at the time offered both high school and a junior college. His father, James “Hyde” Savage, also graduated from the academy and played football for the cadets. There are photos of some friends of Savage who served in the Vietnam War. James “JayCee” Tarkenton III was one of those friends. “I just thought the world of Jim,” Savage said. Tarkenton was killed during a search-and-destroy mission, Savage said. Two years later, a soldier who had been a pallbearer at Tarkenton’s funeral was on a similar mission in Vietnam and discovered a cigarette lighter, a lanyard and other items that once belonged to Tarkenton– all in the possession of an enemy soldier. But Savage moved on and began another story. The first building for the school “stood about where the water tower stands today,” Savage said. From left to right, cadets Ethan Garcia, of Summerfield, Cole Bates, of Clayton, and Holden Strickland, of Rougemont, march during a recent Pass in Review ceremony that began on the grounds in front of Maple Glade and passed in front of Alumni Hall under the close inspection of President David Reardon (Lt. Col., Ret.). Graduates of the academy include professional athletes, politicians and other society leaders. In 1866, a fire destroyed the main academic building on campus. “We blame it on the Yankees,” said Savage with his ever-present wry humor, before acknowledging it was likely someone affiliated with the school who started the blaze. Jim and Kay Savage work the inside of the museum largely on their own. However, through the years, items have made their way to them in a variety of ways. The online auction site eBay has been a huge help, Jim Savage said. Another time, two teachers were in a Kernersville antique shop and stumbled upon an Oak Ridge Military Academy uniform – complete with medals. There are snapshots of the academy’s history which flirt with fame. Movie star and singer Ava Gardner once arrived on campus to pick up her nephew, a student at the time, from campus. He had already left for dinner. “She was late, so he drove on to Winston-Salem where they were to have dinner,” Savage said. 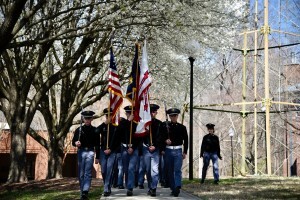 The rest of the cadets, meanwhile, were in formation preparing to march across Oak Ridge Road to Benbow Hall for supper. 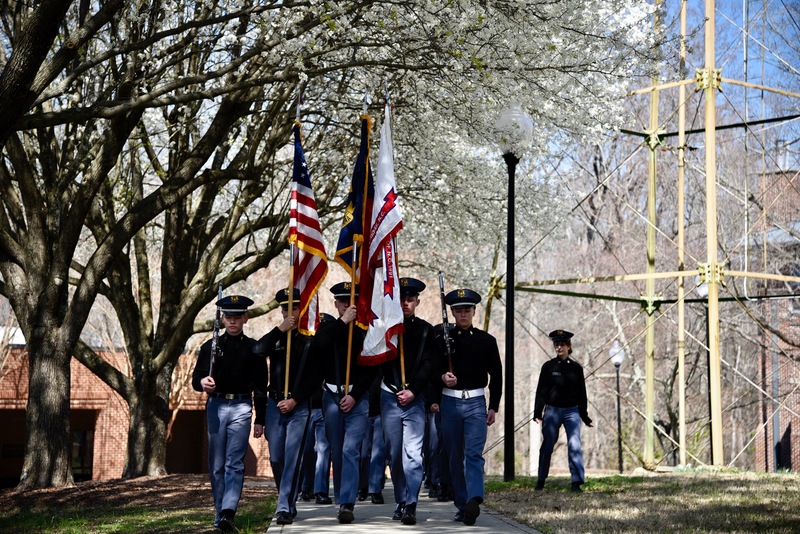 Cadets march in step on campus during a recent Pass in Review ceremony at Oak Ridge Military Academy. “Instead of 200 cadets going to the mess hall, 200 cadets went to Ava’s car,” said Savage, noting the actress and singer signed autographs for the students. Former NASCAR driver Dale Earnhardt Jr. was a student, too. Savage said Earnhardt stops by “every now and then” to visit. The academy’s female drill team won the Armed Facsimile Division at the 1996 National High School Drill Team Championships. The squad earned first place in four categories and beat out an Alabama high school for the overall win by only 26 points. To arrange a tour of the museum, call Savage at 336-643-4131 ext. 17 or email onesavage@gmail.com.